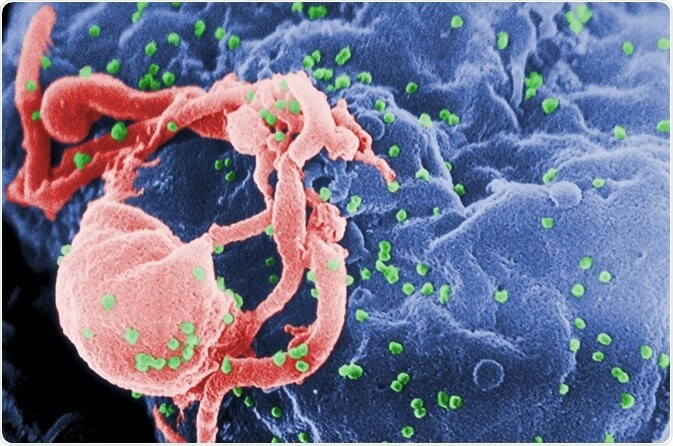 In 1981, HIV burst into our consciousness as an almost universally fatal infection. Since those early days, around 80 million infections have occurred worldwide, with 37 million people living with the virus today. Intensive research efforts led to the development of antiretroviral therapy (ART), which has saved hundreds of millions of years of life. For those fortunate enough to have and maintain access to medical care, ART can reduce the virus to “undetectable” levels, below 20 virus copies per milliliter of blood. Under these circumstances, progression to disease is halted and transmission to others is highly unlikely. But HIV continues to exact significant costs – to the individual, insurance company or government paying the costs of medication and monitoring; to the physical health of the individual in the form of potential side effects, toxicities, and ongoing immune inflammation; and to psychological well-being in terms of stigma, depression and anxiety. A cure for HIV would remove the need for ART, thus addressing the issue of financial costs. But the form a cure takes will have a significant impact on the ways in which physical and mental health will be improved. Two different approaches are being taken to the development of a cure – post-treatment control and viral eradication. Over the past 10 years, reports have emerged from France, the UK and the US describing small numbers of patients who maintain control of the virus after stopping ART. The great majority of these are people who initiated ART within 3 months of the initial transmission event, took ART for several years, and then stopped treatment either against medical advice or in the context of closely monitored clinical trials. The mechanisms underlying post-treatment control are not well understood, but appear to comprise a combination of immune functions. Virus is still detectable in all these cases using sensitive lab assays, so it is clear that eradication has not occurred. Given that several of these people have maintained control for 10 years or more, it seems unlikely that the prevailing immune mechanisms will clear the infection. Although around 100 post-treatment controllers have been identified, there is currently no intervention that can reliably bring about post-treatment control and these rare individuals are thus the subject of intense scrutiny. There is only one known case so far of apparent viral eradication, in a patient originally known as the Berlin patient. This American man, now known to be Timothy Ray Brown, was living in Berlin with HIV that was well controlled by ART until he was diagnosed with acute myeloid leukemia that called for a stem cell transplant. The doctor sought a donor with a genetic mutation known as CCR5delta32, found in approximately 1% of northern Europeans. The mutation renders cells extremely resistant to HIV infection and these cells, along with the radiation and chemotherapy he received, eradicated Mr. Brown’s HIV infection. More than 10 years following the procedure, he remains free of leukemia and HIV. The significant risk of morbidity and mortality, along with the rarity of CCR5delta32 donors, means this approach is not possible for a broadly applicable cure. Gene therapy approaches have attempted to mimic this cure but have resulted in post-treatment control at best. Studies in experimental animals using combinations of immune-based approaches, such as antibodies and vaccine adjuvants, appear to have cleared infection, but questions remain as to the comparability of outcomes in experimental animals to the clinical experience in humans. Testing whether an intervention has resulted in post-treatment control or viral eradication is one of the most challenging aspects of HIV cure research. The only way to definitively determine either outcome is to withdraw ART. If virus re-appears, viral eradication has not occurred. But waiting to see whether some combination of immune responses will eventually bring the virus under control can be a nerve-wracking experience for clinician and trial participant alike. Researchers expect that there will be a period of some, perhaps even substantial, viremia during this waiting period, for up to several months. During this time, the CD4 T helper cells of the immune system may undergo substantial attrition, and it will be possible to transmit the virus to others. How long should clinicians and participants wait before deciding the intervention has not worked and ART should be restarted? If ART is restarted too early, we may miss a positive outcome. If we wait too long, the trial participant may experience significant harm. There are as yet no definitive answers to these important questions. Which type of cure is better? Researchers believe it will be easier to achieve post-treatment control than viral eradication, and the 100 or so cases of the former, compared to the single case of the latter, bear this out. As a result, much of the effort in HIV cure research focuses on understanding and bringing about post-treatment control. But people living with HIV almost universally prefer a viral eradication scenario. While either outcome relieves the burden of daily ART adherence, only eradication will remove the ongoing immune inflammation that leads to increased risk of cardiovascular and other serious events. And importantly, only eradication will remove the stigma of living with HIV. In some regions of the world, HIV infection can literally mean a death sentence, no longer because of the consequences of the infection itself but because of societal attitudes and responses. Stories continue to emerge of people beaten, jailed or murdered for their infection. While post-treatment control is a laudable interim goal, we cannot lose sight of the desperate need for a true cure. We cannot eradicate HIV from the world until we can eradicate it from all those living with the virus. 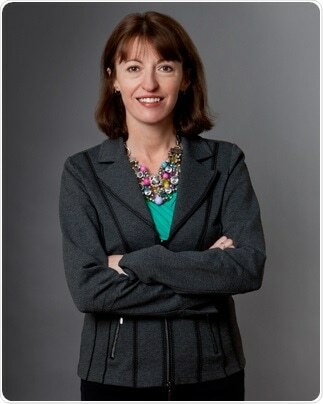 As vice president and director of research at amfAR, Rowena Johnston is responsible for overseeing the Foundation’s pioneering research program. Her responsibilities include determining the Foundation’s research priorities, evaluating and analyzing the program’s direction, and serving as a liaison between the scientific community and other communities.